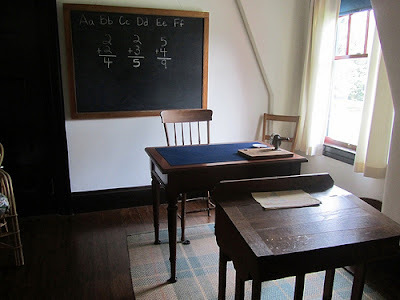 /**/ The Purposeful Wife: Why I Am Ridiculously Excited About Classical Education @ Home! Why I Am Ridiculously Excited About Classical Education @ Home! In lieu of a review, I thought I'd share all of the reasons this book excited me, and why I am leaning towards a classical education in general. It is super organized. I love the order of this system, and the complete and thorough directions the authors gave in their book. Classical education is based on the Trivium- three stages of learning that take advantage of a child's interests, natural to his or her age. Stage one is the Grammar stage, grades 1-4. 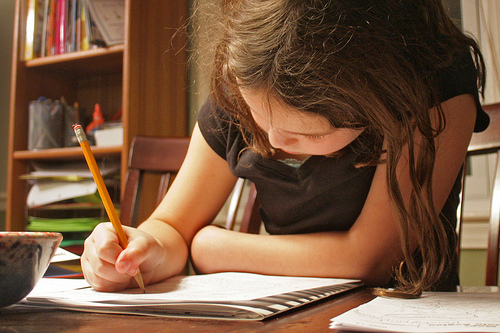 In the grammar stage the focus is on memorizing and learning basic facts, since this age group loves to parrot and is still excited about learning and trying to impress adults ;). The second stage is the Logic stage, grades 5-8. At this time, children are turning into adolescents who question everything, are prone to debate, and just want to know why. The Trivium takes advantage of this stage by teaching the art of logic (reasoning and debate), and focusing more on why things happened in history, or why math and science work a certain way, instead of just learning the facts. Finally, the third stage is Rhetoric, grades 9-12. If you recall your high school days, you might remember them as a time when you were very concerned about your appearance and how you came across to others. Acknowledging this reality in high school students, the Trivium trains them how to present information they have gleaned in a coherent and polished fashion. It is repetitive. Classical education is also very well-ordered in its proposed curriculum. Throughout the student's twelve years of schooling, they will repeat the same order of study three times. As proposed by Jessie Wise and Susan Wise Bauer, history, science, and math are divided into four major time periods: Ancients (5000 B.C.-A.D. 400), Medieval to Early Renaissance (400-1600), Late Renaissance to Early Modern (1600-1850), and Modern (1850-present). Children will learn about the ancients in grades 1, 5, and 9; medieval-early renaissance in 2, 6, and 10; late renaissance-early modernity in 3, 7, and 11; and modernity in 4, 8, and 12. The first time around they will get very basic facts, adding to their expanding knowledge the second and third times. This rhythmic pattern really allows ideas and concepts to stick more permanently. It is cohesive. During 1, 5, and 9th grades, students will study Biology, as this is the science most understood by people in the ancient period. Grades 2, 6, and 10 will explore Earth Science and Astronomy; 3, 7, and 11 Chemistry; and 4, 8, and 12 will do Physics and Computer sciences. So even what my child is learning in science class will match what they are learning in history. Each subject will correspond to the period of history being studied (art, music, math, etc.). I love this, because so often in school it felt like each class was a random conglomeration of facts- memorized for a test, and quickly forgotten. When different subjects are bridged together, and a student is making connections with how they relate to each other, it will be easier to remember and understand (for the long-term) the information that is being taught. This is quickly turning into a book.... To Be Continued next week!